This handsome fella was rescued from a woodpile behind the gas station next door. 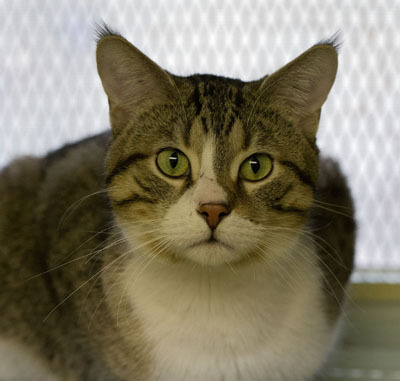 Pepper likes to chat and has a playful and friendly personality. 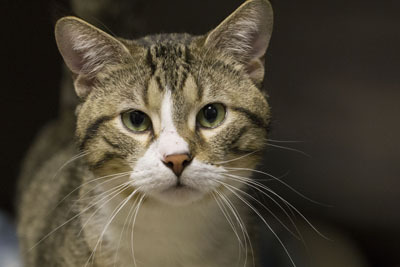 He can get possessive about his food when he’s around other cats – probably a holdover from his days as a hungry street cat. 2018-01-28: Emmie and Pepper are permanently offsite, with Maureen.